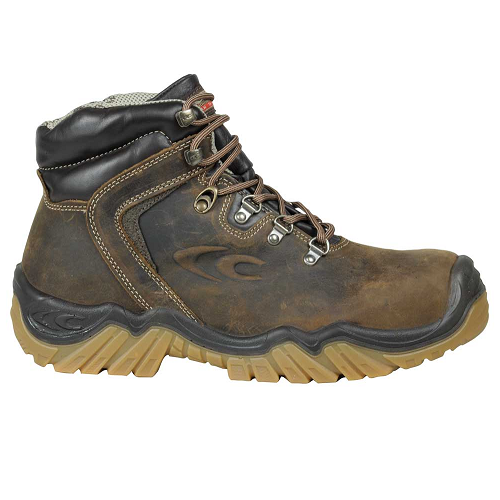 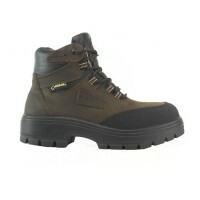 The Cofra Pirenei is a brown safety boot with composite toecaps. 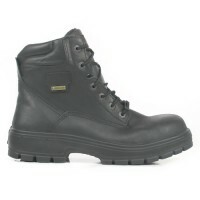 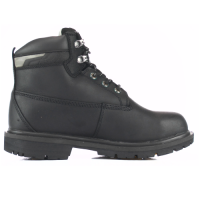 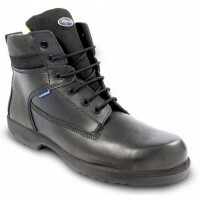 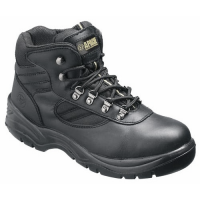 The boot is made from water repellent pull-up nubuck and breathable SANY-DRY® polyamide fabric. 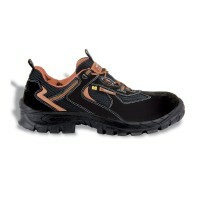 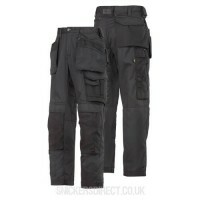 The boot also has a range of other safety and comfort features e.g. 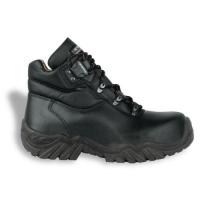 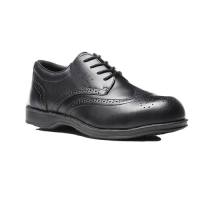 a heat resistant sole to +300 °C (1 minute contact), cold and heat insulation as well as a SOFT-BED footbed for extra comfort.